Past & Present Succulent Garden in Chicago IL - Wall's Flower Shop, Inc. Looking to try the modern farmhouse trend. 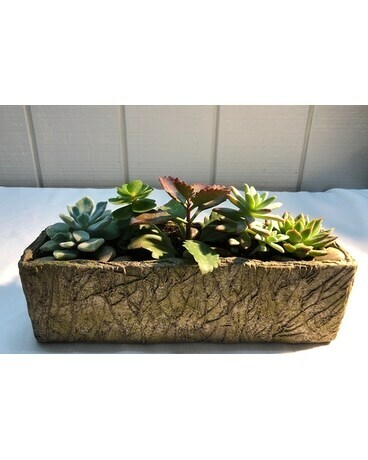 The assorted succulents come in an array of colors so this gift will get even better as it grows.